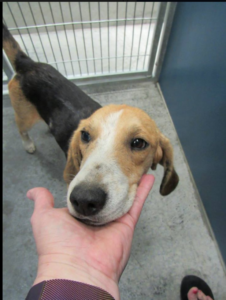 Hansel is a very sweet ~4 yr old beagle mix. He gets along great with other dogs and loves people. He's a calm little boy who loves to snuggle. We will have more info on Hansel this weekend.